Once true love's kiss awakens sweet Aurora, she and Philip are finally able to have their first dance. 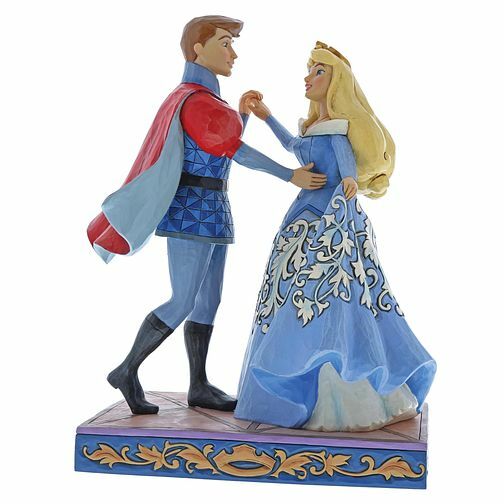 This resin figurine captures their joyful waltz around the ballroom. Jim Shore's signature motifs add to its artisanal beauty. Packed in a branded gift box. Unique variations should be expected as this product is hand painted. Not a toy or children's product. Intended for adults only.